The paper presents the change of the interior noise according to the lamination angles of the carbon fiber in the carbon-fiber reinforced plastic (CFRP) laminated composite plate. In the previous paper, the charateristics of the sound radiated from a CFRP plate was studied in the free field condition. 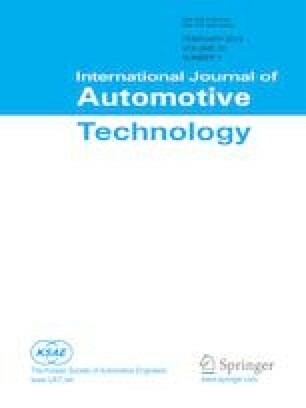 In this paper, vibro-acoustic interaction for the CFRP plate with various lamination angles was studed considering the application of the CFRP plate to car roof. In order to study the vibro-acoustic interaction, a certain enclosure with flexible wall was required and then the closed rectangular box was prepared. The one flexible wall of the rectangular box consisted of CFRP plate. Three CFRP plates with fiber lamination angles of [-15/15/15/-15]s, [-30/30/30/-30]s, and [-75/75/75/-75]s were fabricated and used as one flexible wall of the closed box. These plates were excited by an impact force, and the interior sound pressure within the closed box was calculated both theoretically and experimentally. Then, the identified vibro-acoustic characteristics were used to apply the CFRP plate to the roof of a car, thereby shifting the resonance frequency of the interior noise.